October 29, 2011 is going down in history in Australia as the day Qantas ceased flying, due to industrial action. 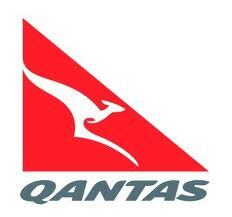 I am still in a state of shock but for all who don't know Qantas mainline services worldwide are now grounded due to ongoing industrial disputes with 3 unions. The announcement was made by the CEO at 5pm eastern daylight savings time. For those flying QantasLink and Jetstar, your flights are not affected. It is an awful day for everyone involved and I hope it will be resolved as soon as possible. My thoughts go out to the employees and their families who will be affected, along with the passengers who are being disrupted. In this kind of time, all we do is have faith that it will recover and continue the journey of the business.